These comprehensive guidelines enable an individual or group to create and facilitate a Golden Rule workshop for youth, adult or intergenerational audiences. The workshop outline features a series of 13 steps that include silence, individual reflection, group discussion, plenary session and evaluation. This curriculum supports and challenges young people to appreciate ethical living through the application and practice of the Golden Rule. 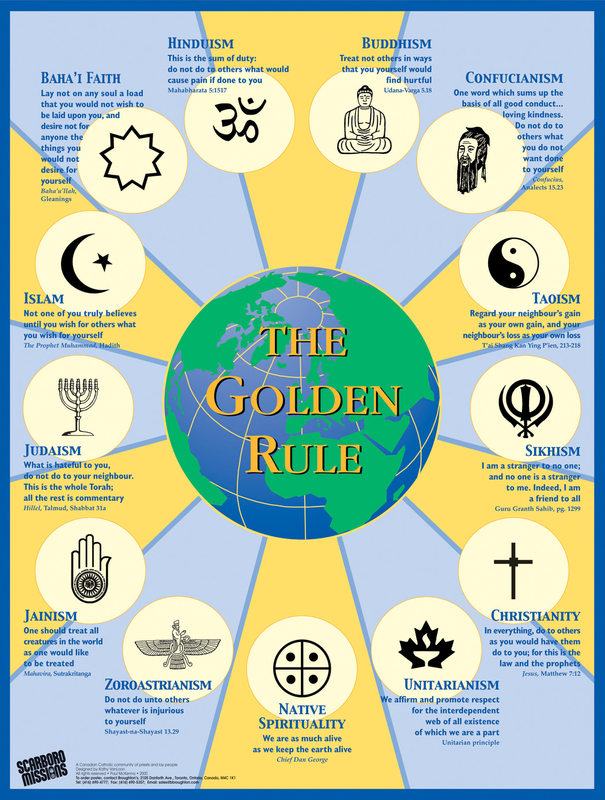 The curriculum contains a history of the Golden Rule and a listing of Golden Rule expressions from the world’s many cultures. Students will be challenged by this curriculum’s many projects and activities including an activity in applying the Golden Rule in difficult situations. The AGREE curriculum contains a “Gold Standard” for interacting with others, while promoting high academic standards for all grade levels in Arizona schools (USA). Areas of focus include reading, writing, mathematics, the arts and the development of critical thinking skills. 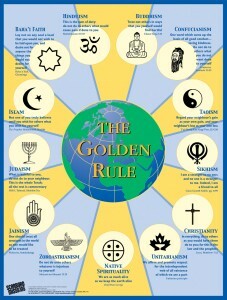 What would the world be like if every person lived according to the Golden Rule? In this art activity, young people are invited to envision a world in which every person lives according to the Golden Rule. Next, they are asked to depict what they have imagined or envisioned by creating a piece of art. This activity inspires young people to imagine and create a world characterized by cooperation, social justice, non-violence and a sustainable environment. This comprehensive listing of resources from around the world features school & youth group curricula, interactive resources, meditation exercises, videos, multilingual posters, art activities, do-it-yourself workshops, slide programs, discussion questions, Golden Rule websites, books, toolkits and best practices.